The Nuggets boast the 3rd best offensive rating in the league. In a matchup of the West's 2nd and 8th seeds, the Nuggets handed the visiting Clippers a ruthless 123-96 beatdown. The Clippers never led at any point in the game as they were treated to their fifth loss in the last ten games. Hanging by a thread for playoff contention down at the eighth spot, the Clippers dropped to 33-28(0.541) on the season after their most recent loss. Now ten games behind the Conference leaders, the Warriors, in the standings, they are tied with the Spurs on the West leaderboard. On the other hand, the imposing win for the Joker and his team meant that they are now just a game behind Golden State in the race to be the West's best. With just 23 games left in their regular season, Denver hosts a sturdy 41-18(0.695) win-loss record whilst eyeing a potential NBA Finals ticket this season. Let's draw out a few key takeaways from this impressive win by Mike Malone's men over the pitiful Clippers. Led by an All-Star in Nikola Jokic, the Nuggets can always find help at the center position of their court, be it on offense or defense. 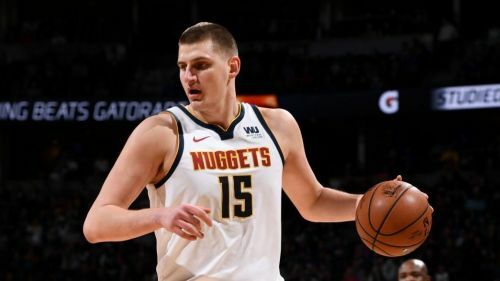 Despite being hindered by foul trouble on the road, Jokic managed to pull through for a double-double stat line of 22 points, 16 rebounds, 3 steals and 1 block on the night. Millsap matched Nikola's numbers to a fairly large extent, putting together 21 points, 16 rebounds, 3 steals and 2 blocks of his own. 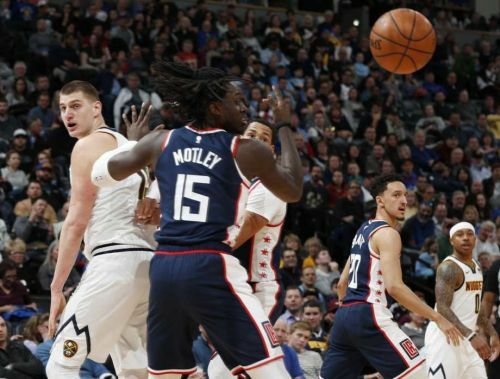 Coach Mike Malone acknowledged that the 33-year-old veteran was coming into own against LA, as he shot a dazzling 8-of-13 from the floor and pulled down five offensive rebounds while playing a game-high 32 minutes. "Paul found the fountain of youth or something," Nuggets coach Michael Malone said. "He's playing like a young Paul Millsap. He's flying around. We chart everything, Paul Millsap by himself, he contested 18 shots tonight. His energy is infectious for all the other guys. And Nikola obviously, we expect that from him every night. It's a good win."